Nebraska does not offer prospective accountants many choices, with less than 20 schools offering accounting degree programs. However, one of them is the highly rated School of Accountancy at the University of Nebraska – Lincoln, which took the 12th place in the Public Accounting Report 2013 survey of undergraduate academic programs in the small institution category and the 11th place at the graduate level. Without standing out in the rankings, Nebraska accounting schools offer degrees ranging from undergraduate to advanced that can prepare motivated students for success in the field of accounting. University education is a requirement for accountants and advanced degrees are becoming more and more expected. The accounting program you choose can make a huge difference to your career – from your degree of preparation for the CPA exam, to your connections to potential employers. Your accounting degree is not just a piece of paper; it is the very start of your career. With this in mind, make sure to inform yourself and choose the most rigorous and prestigious school. A good accounting program should be AACBS-accredited and nationally recognized and its students should consistently perform well on the CPA exam. Try to research the instructors’ qualifications and ask to see student evaluations in order to make sure the teaching and assessment are top quality. Don’t forget that accountants are always at the heart of the business community, and this should start at university. Through student organizations, networking events, internships, volunteering programs and other opportunities for hands-on experience, a good accounting program should help you become a professional ready to succeed as soon as you graduate. In today’s changing business world, an accounting background can get you far. To become an accountant, you will need decision-making skills and business acumen in addition to an analytic mind, an affinity with math and an eye for detail. Given the academic and professional challenges that you will have to face, you will need to stand out in order to succeed. To work as an accountant you will have to complete at least a four-year university degree, but if your goal is to become a Certified Public Accountant (CPA), you will need to undertake additional coursework to meet the 150-credit requirement. A CPA license involves extra work, but it can have a major impact on your career by opening up possibilities for employment and increasing your pay. 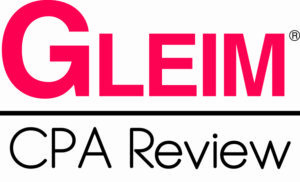 To become a CPA you will have to pass all four sections of the CPA examination and you will need to acquire one or two years of experience, depending on the state granting licensure. You might also need to complete an ethics course and to pursue continuing professional education courses throughout your career in order to renew your license. In Nebraska, candidates have to hold a baccalaureate degree with at least 150 semester hours in order to sit for the CPA examination. These must include 30 hours in accounting courses (excepting principles of accounting) and a further 36 hours in general business courses. It is however possible to take the exam 60 days prior to meeting the educational requirement. 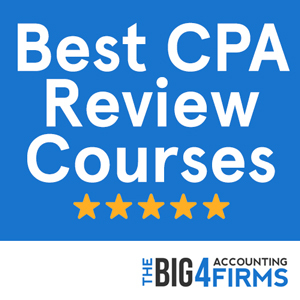 Having passed all four sections of the CPA exam, you will also need to acquire 2 years (4,000 hours) of public accounting experience before you can be granted licensure. Business, academia or government experience is also accepted, but you will need to complete 3 years before you can apply for a CPA license. Moreover, active license holders need to earn 80 credits in continuing professional education courses every 2 years. The mean annual salary for accountants and auditors in Nebraska is $65,110, almost equal to the national average. Indeed, Nebraska does not shine in terms of accounting employment levels and pay. However, variation within the state is significant – from a low average salary of approximately $56,000 in the West to a salary of almost $67,000 in the Omaha area. While Nebraska might not seem like the most favorable state to be an accountant, it is important to remember that there are great pay variations within this profession. In Nebraska, the lowest paid 10% of accountants earn a mean annual wage of almost $38,000, while the highest paid 10% earn on average $97,000 (which can rise to $105,000 in the Omaha area). In accounting, your own choices, skills and initiative matter more than the state where you are working – and with an accounting background there’s nothing to stop you from reaching for the stars. 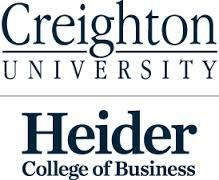 The Heider College of Business at Creighton University offers a comprehensive AACBS-accredited accounting program. Ranked as the best Regional University in the Midwest by US News, Creighton University allows students to pursue a major in accounting and a Master of Accounting that prepare them for success using both coursework and experience. With a solid background in financial reporting, taxation, auditing, managerial accounting and accounting information systems, Creighton accounting major graduates are highly employable. In 2012, they reported an average starting salary of $48,500. Students who choose to complete the Master of Accounting degree follow a curriculum consisting of MBA core courses, accounting core courses including ethics and research, as well as accounting and non-accounting electives that provide flexibility in specialization. What is more, hands-on experience is provided through required participation in a student or community business organization, as well as the completion of a service project. The accounting program at Creighton University is proof that there is more to university education than prestige: with the right combination of courses and opportunities for experience, a motivated student can rise to success regardless of university rankings. Rated as the 101st best university in the country by US News, the University of Nebraska – Lincoln offers a top quality, AACBS-accredited accounting program. Students can choose between a major in accounting, a Master’s degree, a joint Juris Doctor – Master of Accounting degree and a PhD program. Part of the Big Ten universities, the University of Nebraska prides itself on its high graduate employment rates – 92% in 2012 and 91% in 2013. The program provides opportunities for real-world experience through internships with international accounting firms, corporations and the government, as well as through the extracurricular activities of Beta Alpha Psi. The graduate program is flexible and can be pursued by students in conjunction with a Bachelor’s degree or separately. Students wishing to sit for the CPA exam can undertake the BSBA and MPA degrees as a joint 150-credit program, with 36 credits at the graduate level. The MPA boasts an advanced and rigorous curriculum, as well as internship opportunities to provide students with a complete accounting education.